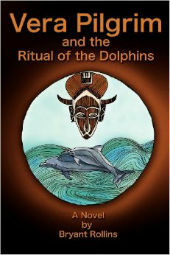 Vera Pilgrim is a myth for our times – a work of magical realism about an African American woman, her wayward son, a 400-year-old African ritual, and two magical dolphins who carry a healing message down through the centuries to the present. The book is a contemporary myth, an important contribution to postmodern perspectives on social, cultural and political issues. Vera Pilgrim, the lead character, is inspired by the life of Sojourner Truth, the 18th century heroine and leader. The work is a fictionalized and mythologized allegory that will appeal to a wide range of readers interested in science fiction/fantasy, history, mysticism, contemporary social and political matters, civil rights, women-centered issues, African-American life and culture, race relations and ecology.